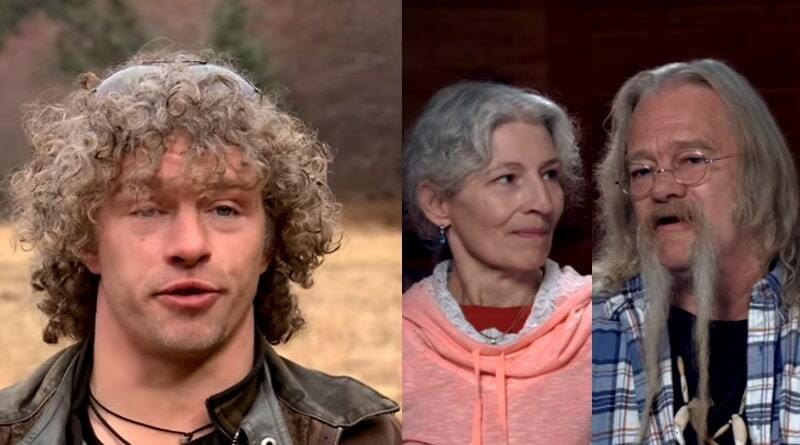 Alaskan Bush People star Matt Brown left home several weeks ago and his family hadn’t heard from him in weeks. Concerns grew for his parents Billy Brown and Ami Brown over not knowing his whereabouts. Matt left following an argument regarding his recovery treatment with his father, according to reports. He didn’t tell anyone he was leaving. As weeks went by without hearing from Matt the family worried about the Alaskan Bush People alum relapsing. Now reports indicate Matt Brown finally contacted home. 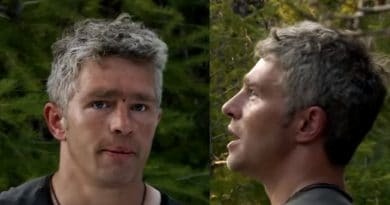 Alaskan Bush People – Matt Brown Continues to Struggle? 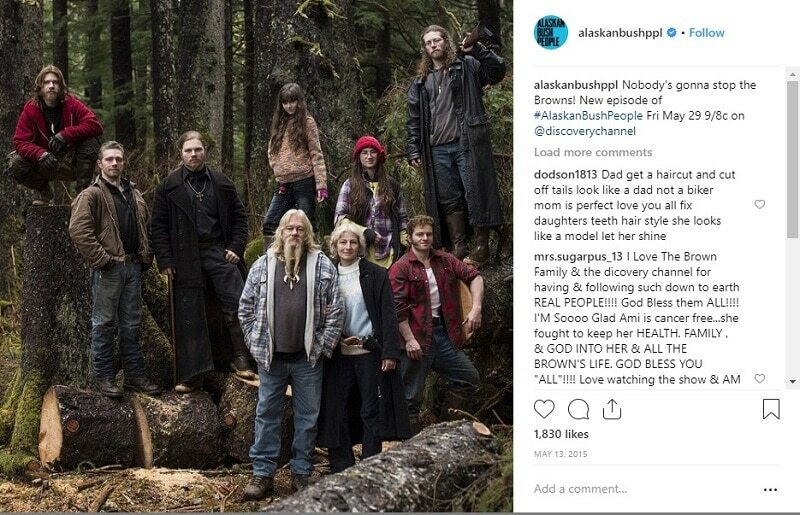 The oldest child of the Alaskan Bush People wolfpack showed up online in his travels via pictures fans posted. The only information his family had about Matt Brown’s whereabouts came from those pictures. What they saw worried them as he looked bleary-eyed and disheveled in the photos fans shared online. Billy and Ami Brown and the rest of the Alaskan Bush People brood worried about him using again. Matt Brown went into rehab a few months back and he checked himself out after 30 days. He left despite his parents wanting him to do the entire 90-day treatment recommended for him. Matt’s struggle with alcohol and drugs puts Ami and Billy Brown in the same boat with thousands of other parents in this nation. Parents find themselves at wit’s end not knowing which way to turn when it comes to helping their child. He is no kid at 36-years-old but addiction knows no age. Reports indicate that Matt Brown had an argument with his father when he refused to use a sober life coach. Billy took a strong stand and insisted his son have a sober life coach with him 24/7. It seems Matt refused and left the family’s home in Washington State and headed for the California desert. 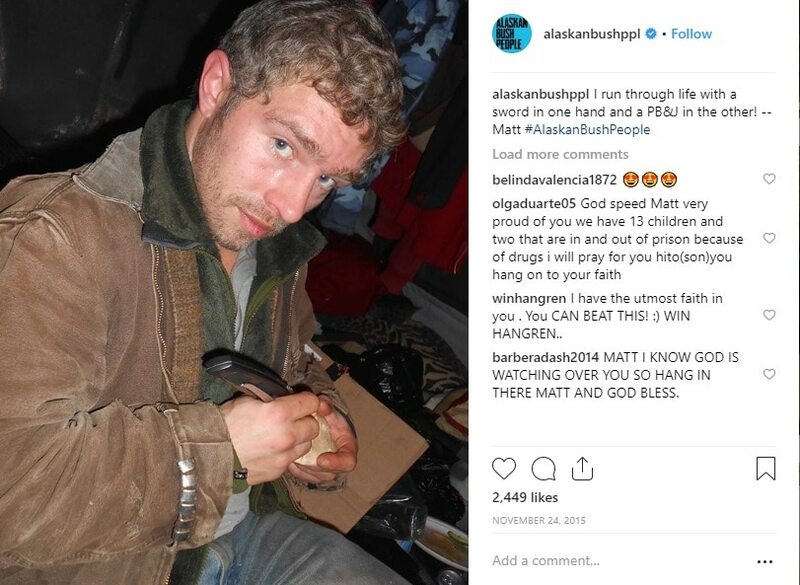 It seems that Matt didn’t contact the family since he left home, which worried his Alaskan Bush People family members. Fans posted the recent pictures of him online and indicated one was taken in mid-December in Palm Desert. About a week after the first picture showed up online a second photo popped up. This one put Matt Brown in the neighboring town of Mountain Center. Again, in both pictures, his appearance sparked worry for Ami and Billy. The concerned parents worried that he’d relapsed. He never made it home for Christmas so the family is hoping he’ll come home to start the New Year. Billy and Ami finally did get in contact with Matt. They gave their elder son an ultimatum. 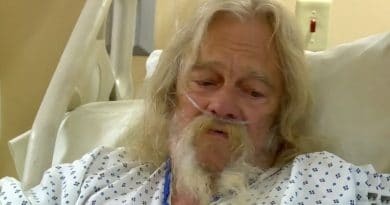 If he doesn’t return home right away, they will oust him from the show, Alaskan Bush People. It looks like the Brown parents are using tough love with their kid. This is an avenue many families take when they come to the end of their rope with their children struggling with addiction. Tough Love as Last Resort for Matt Brown? Before entering rehab in September reports indicated that Matt Brown spiraled out of control. While he did go to rehab, he didn’t do the 90-days his parents hoped for. Now he has a decision to make. That’s either come home now or risk getting kicked off the Alaskan Bush People show by his parents. That would presumingly cut off his source of income. That’s the ultimatum Billy Brown and and his wife Ami Brown offered their son – come home or your fired. Only time will tell which road Matt will travel, the decision is all his to make.